Star Template is a simple 2-column website template using red and yellow colors. Zine Green is a simple 3-column layout for magazine or blog websites. 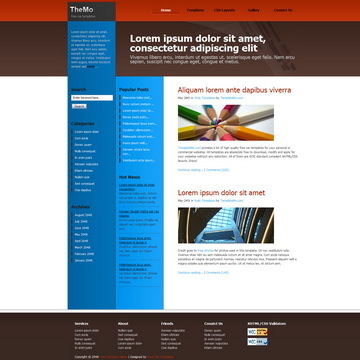 Zine Blue is a simple 3-column layout for magazine or blog websites. 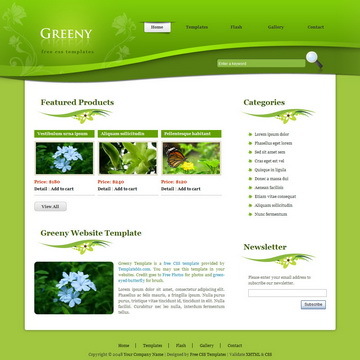 Greeny Template is designed using some curves at the header and titles are decorated by floral graphics underneath. 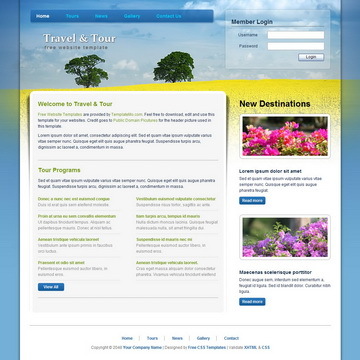 Travel and Tour is a free website template that is simply attractive and it comes with W3C standards-compliant HTML and CSS codes. Star Template is licensed under Creative Commons. Permissions beyond the scope of this license is available here. 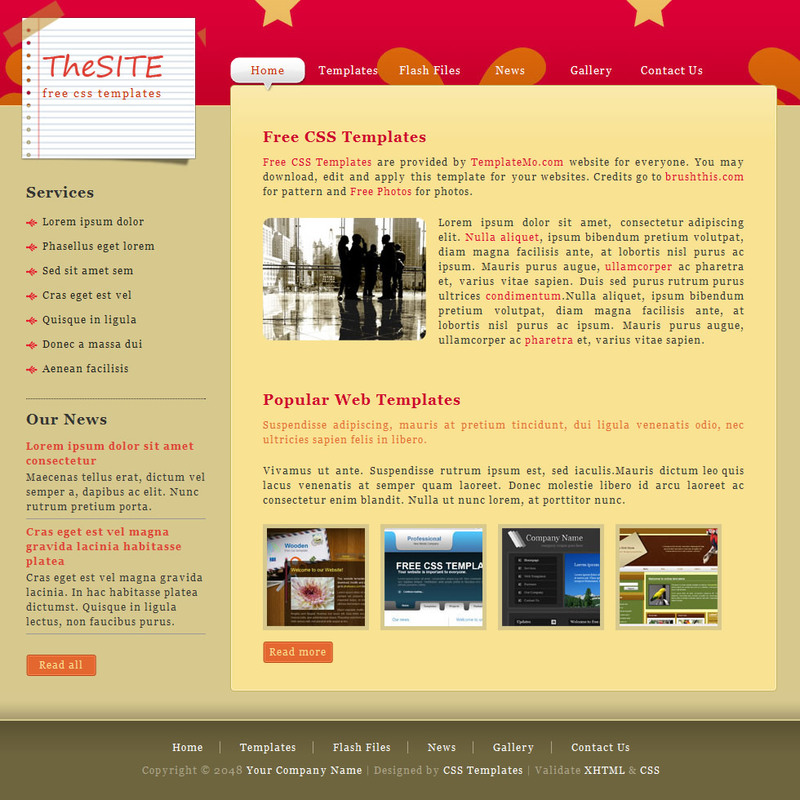 You are allowed to download, edit and use this Star HTML CSS layout for your commercial or non-commercial sites. Please share Star Template to your friends. Thank you.